IT and telecommunications managers need to know when there is an issue that threatens the integrity of their critical infrastructures. Many times the devices that need to be monitored are muli-vendor and multi-function with different communications protocols. Some of the devices that need to be monitored include UPS, PDU’s, air conditioning systems, chillers, water detection sensors, temperature/humidity sensors, generators, power quality metering and switchgear. 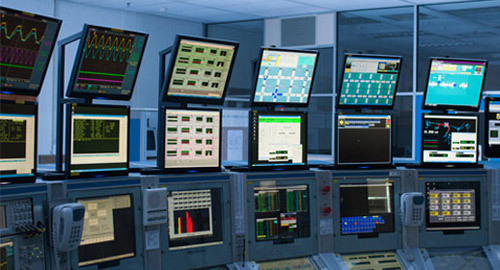 The monitoring system must be able to communicate with critical infrastructure devices, preferably on a direct digital basis, and provide a user friendly, flexible and highly informative display of system parameters. Fieldview Solutions is the world’s leading provider of affordable IP-based intelligent active monitoring solutions. Designed for companies with distributed locations, limited support, and a commitment to preventative measures, Fieldview Solutions is a self-contained, plug-n-play package that focuses on two critical data points—visual and environmental. The system not only watches the site for things like theft, errors or sabotage, it monitors the entire setting to ensure that whatever sensitive equipment is housed there can perform its mission-critical tasks without environmental disruption. We call it bridging the gap between physical and IT security. Our customers say it’s the next best thing to being there yourself. We know whose job it is to monitor building access or to keep hackers out of the network. But whose job is it to make sure that sensitive areas are monitored against threats that could have serious impact to operations? Fieldview Solutions is a company dedicated to monitoring and minimizing threat.